I would agree that it had all the characteristics of a siege. I imagine the authorities would have looked at its duration and the type and number of people involved and thought it did not compare to the 'big three'. Sadly, this is from Photoshop rather than unofficial clasps. 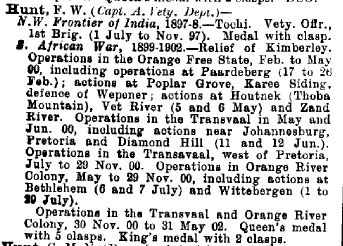 Going through the War Service of Officers, 1905, there are several mentions of the Defence of Wepener from officers who were not present. 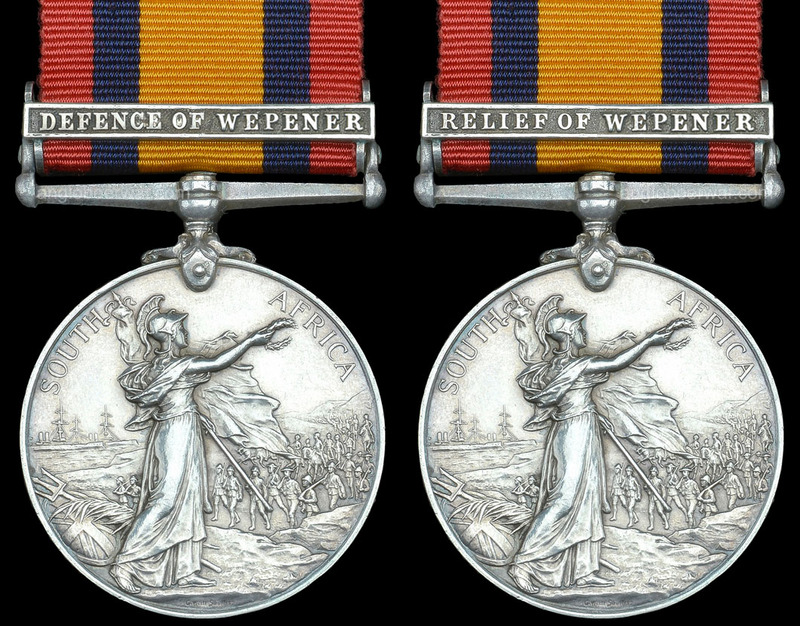 Vet Lt F W Hunt received QSA (5) RoK Paard Joh DH Witt on WO100/230p193. How usual is it for South African BWM and VM to have different naming? Thank you, Rory. I am more accustomed to the BWM and VM being named in the same way. I will look out for this more now.